It’s hard living here. It’s hard work without running water to do the dishes, to take a shower, to flush the toilet, to drink water. It’s hard not speaking the same language, not having younger couples our age, working construction, rationing our flour, going through giardia treatment (I threw up today from the Metro… not fun), and finding enough motivation to clean the house because when you are done it looks the same. I hate to complain, but it is hard for us right now. Not just with the living conditions, but with the culture shock and the difficulty of finding where we are fitting in with our skill sets. Discouraged I guess you could say. The devil is really trying to get us down and it is hard for us to stay afloat. We would love some encouragement and prayers right now. We have a list of people to whom we send requests for prayer for special needs that we encounter here. If you have not been receiving these highly important-to-our-ministry emails and want to be a part of it with us, please email us. We cannot do 1/1000th of the work to do here if we are not covered with prayer! God has been speaking to us and guiding us in many ways. I’ve been wanting to share how He has been guiding us, so much so that there is another blog I wrote (but didn’t post) with the same ideas, but I find that the ideas are now even more appropriate in relation to the previous post than standing on its own. So if you haven’t read “Spiritual Warfare”, go ahead and scroll down first, because this is essentially part two. There are many battlefields in the spiritual realm: our hearts, the hearts of the people we work with, for, and/or against, the ideas we have, the tasks before us, etc. In all things that involve God, there is warfare. And in my mind, everything in life involves God, therefore we are in a constant battle of good vs evil. At the same time, God has given us a promise of victory in Him. With our faith in Christ, He gives us access to the glory of God, His character (see Exodus 33:18-34:7). As Paul writes in Romans 5, “Having been justified by faith, we have peace with God through our Lord Jesus Christ, through whom we also have access by faith into this grace…, and rejoice in hope of the glory of God.” Our faith will lead us, onward and forward, to His glory. All the challenges we encounter are to build us into a more perfect and more compassionate person. Trials are to create perseverance in us; patience, endurance. So if something stands in our way, it’s not for us to back down, to wait, we have to push on. Like Nehemiah, when problems come, when obstacles stand in the way, it is for us to respond, “The God of heaven Himself will prosper us; therefore we His servants will arise and build, but you [obstacles/naysayers] have no heritage or right or memorial in Jerusalem.” God will prosper us when we are about His business. Now here’s where He’s been teaching us: Our victory comes through surrender. Maybe some of you have heard of “The Pineapple Story,” a testimony of a missionary (Otto something) in Papua New Guinea who tried and tried to grow pineapples, and never could. Then the trees started producing fruit, and the villagers would steal every single one. He never got any. When he gave the patch completely to God, and stopped caring if they were stolen, then God took it into His own hands, and the villagers stopped stealing and actually started giving him pineapples. It’s a good story with lots of lessons. Maybe Google would have some of his talks. Anyways, listening to him, we are finding that the only way we can find true success is by giving it, 100%, no-strings-attached to God, and leaving Him to do it. So when we were having troubles understanding our roles in Chad, we gave it to God. We said, “Lord, if you wanted us to come out here to be babies, eat, sleep, and poop, that’s up to you. We give up trying to find our own reasons for being here.” When we gave it up, that’s when He started making our roles clear to us. 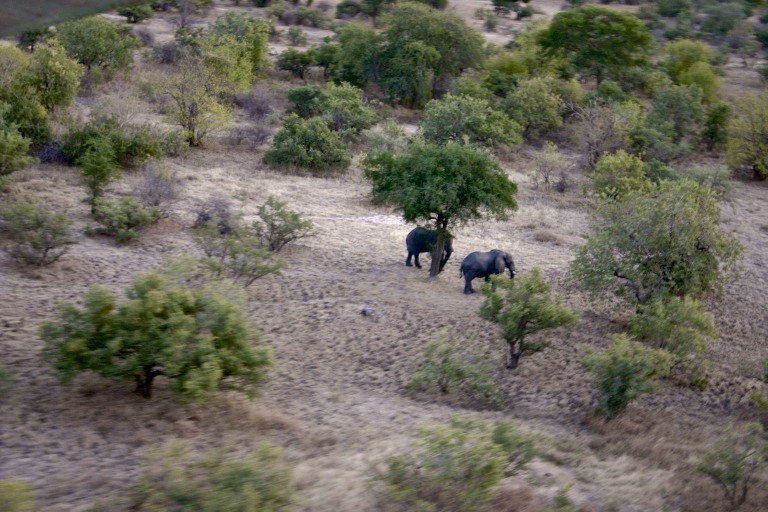 When I gave up my desire to see elephants in Zakouma, that’s when He showed them to me, more elephants than I ever imagined. So with the battles we face, and the issues that rage in our hearts, our relationships, our projects, they are tools that God is using to train us to give our trials up, to Him. Only with God are all things possible. So if your marriage isn’t Godly, and no matter what you do it’s not getting any better, turn to our compassionate God and say, “God, I can’t do anything more. I give up, it’s in Your hands. And if you want me to continue in this abusive relationship, that’s Your call. You know better than I do.” Now the trouble is no longer your responsibility. Dr. Olen wrote about a similar experience on his blog relatively recently. Zane was on his deathbed, at the point of death. They had tried everything, and the precious life was almost gone. So Olen gave up, and gave him to God. Then a miracle happened; Zane revived and got better. Only the hand of God can work in such ways. What is your struggle? We are all struggling. Give it up to God, He is the only one who can overcome. Are you hanging on to your life? Hanging on to your financial stability? Your relationship status? God has a solution for that. “Submit yourselves, therefore, to God. Resist the devil, and he will flee from you. Draw near to God, and He will draw near to you…. Humble yourselves in the sight of the Lord, and He (not we) will lift you up.” James 4:7,8,10. Will we always get what we gave up? Not always. I still have lizards living in my house. I used to fuss and complain. Then I gave it to God, thinking they would leave. They didn’t, but I found myself caring less and less. God changed my heart, and He wants to change yours as well. My prayers go out with this posting, prayers that you too may find the joy that we are finding, in absolute dependence on Him. He is our Light, our Strength, our Song. Since returning from Zakouma on Thursday, we have been realizing more and more that God is at work here. The country of Chad has very few Adventists, and those that are here are not yet self-sufficient. But God is working to change that. He is bringing His people and resources to bear on this country. A new doctor and his wife, Scott and Becky (last name?) were planning on going go Cameroon, but because of Nigerian rebels, their call was modified to come to Moundou. With that, that then frees up James and Sarah Appel to move to Abéché, where only a doctor of his caliber and his understanding of the Muslim culture would be accepted and have potential for success. Things are moving to get the Bible school going again with Jonathan and Melody here, and we are already seeing the firstfruits of Bible worker training with a growing church in Broum Tusu. Maranatha has 2 waves of volunteers coming in to help with construction at the hospital. And it goes deeper than that; God has been making preparations for a long time. With those preparations, the devil is seeing them, and is fighting to cast fear and anxiety on the work, to tear apart the workers, and to create as much mayhem as possible. He is fighting, hard, to break us all down so that God’s plans cannot succeed. His lies, his snares, are starting to pop up everywhere. In this I will not go into detail, because it may add to problems that arise, or cast consternation and judgement on people here, rather than the blame going on the devil, where it belongs. He will fight against everything that God is doing, the work our Lord does to save men. This we cannot forget. We cannot lose our focus, and think bad of others because of a myriad of different problems. We must stay focused and determined, knowing that the resistance we meet is not from men, but from that serpent of old. We are told to work “till we all come to the unity of the faith, and of the knowledge of the Son of God…that we should no longer be children, tossed to and fro  with every wind of doctrine,  by the trickery of man,  in the cunning craftiness of deceitful plotting [of the devil].” Eph 4:13-14. We must be strong in the Lord and in the power of His might. We must daily put on the whole armor of God, to be able to withstand the wiles of the devil. That is who we are fighting against, not the people here. We must equip ourselves with truth, righteousness, peace, faith (above all), salvation and the word of God. Praying always, and being watchful to the end. God is working, so is Satan. Now it’s our responsibility to stand firm in God’s strength by relying on Him. When the people of Israel trusted in God, He fought their battles, and they were not hurt. When they forgot and strove to do it without Him, they were brought down to the ground. I can do nothing to stop the battles that are raging. But for crying out loud! I can turn and cry out to God, and do whatever I can, however ridiculous, to allow Him to work miracles. God still calls soldiers and equips them, making them ready to fight, but if we trust in Him, in the end the enemies are going to turn on each other and destroy themselves. Please pray for us, that we never forget we are on the front lines. And God is needing you, who are in the prime of life, to come join us in these battles. Please join us, whether here in Africa, South America, Europe, Asia, North America, Australia, or elsewhere. God will provide for you; He provides for us. If we are not under constant attack from the devil, it’s probably because we are not doing the work that God has for us to do. We have been lax and comfortable way too long. If you are not able to support us with your presence and energies long term, please support us with your prayers. Look to Scripture, and see how the Spirit impresses you to pray for the needs of today. The longer we’re here, the more we realize that the prayers you make back home are what give us success. (As an additional note: when we ask for prayer, whether from our individual prayer warriors or blog-wide, the more peole respond to tell us they are praying, the more God seems to work. So we appreciate your prayers, and knowing that you’re praying as well). Christ is coming again, very soon. We must get news out to everyone, so they do not turn to us in that day and say, “You knew?! Why didn’t you tell us? We may have been ready too, had we known.” The devil will try to bring us down, whether with complacency and ease or, if that fails, with strife, anger, and temptations to act like children. We cannot falter. We cannot let him control us. We must stand firm, with Christ as our Salvation, Righteousness, and Truth. God will not let His people fall, if we call upon Him. Stand strong, pray, then go forth with Christ to do His work. 2) Prayer that God’s plans are that this couple come to help us re-open the NC. 3) Prayer for unity and cooperation of purpose, that we coordinate our efforts like sections of puzzle coming together. 4) Prayer that our strengths of character and talents be utilized to the highest degree. 5) Prayer that our weaknesses of character and talents be strengthened. 6) We need you, with your strengths, to join us. All God needs to make an enormous difference is someone willing to follow Him. 13) Counseling, social workers, etc. Happy New Year! We are doing well despite all those who believed that we were dying of malaria (mom). 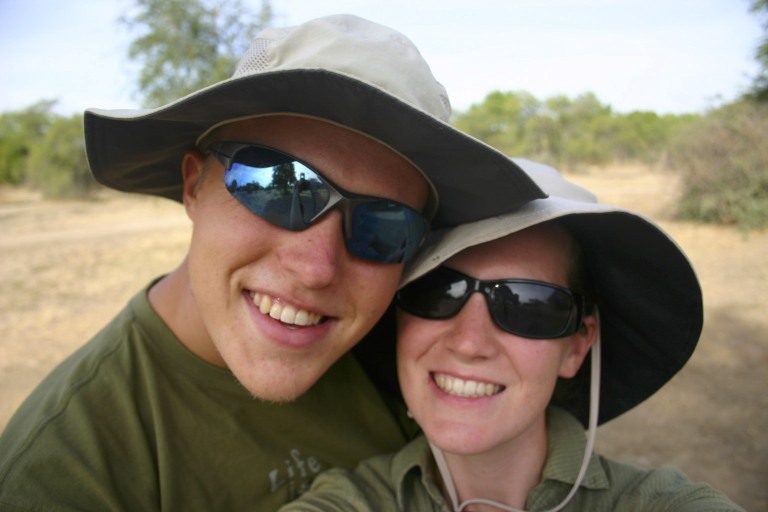 We have been at Zakuma, the national game park in Chad to enjoy a little Christmas break and to welcome in the new year. Thank you everyone for the package sent that arrived just before Christmas so we had something to open the 25th! We really appreciate all the prayers and support. It means so much to us to know that we are loved and cared for by our families and church families back in the states. We hope you have a blessed new year! 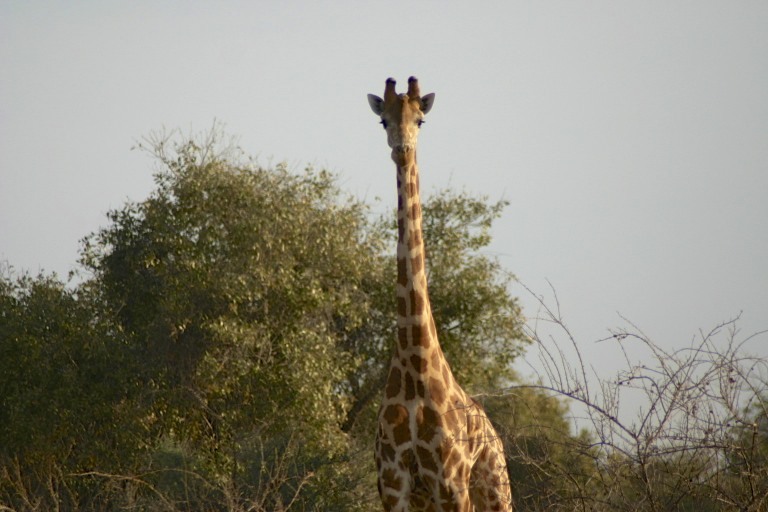 We have seen a lot of animals such as: lions, elephants, giraffes, hyenas, killer bees, crocodiles, baboons, genets, antelope, water buffalo, and so much more. Here are a few pictures that I have taken while at the game reserve. It makes me so excited for heaven just scanning the horizon and seeing all of the wonderful creation God has made and knowing that we will be able to pet every single animal we see. Hope you enjoy this piece of heaven as much as we do! Hyena! 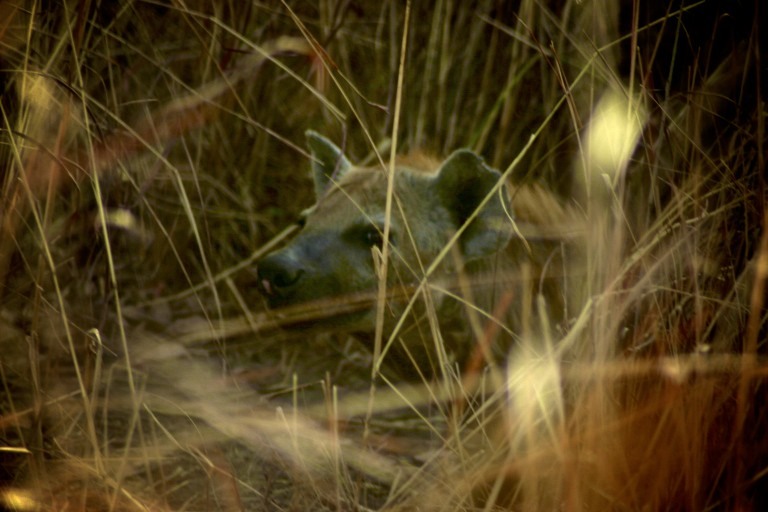 We hung out right by the hyena den. May God bless you this year!